What is the future for Energy Performance Certificates after the EU referendum? So the UK has decided it would prefer not to be in the EU and the process of exiting via the rules contained within Article 50 will no doubt begin. What does this mean for the future of Energy Performance Certificates? A bit of background information first. The EPBD (Energy Performance of Buildings Directive) was approved in December 2002 and came into force on 4 January 2003. The objective behind it was to promote energy efficiency in buildings within the EU. From this legislation, an established calculation methodology was introduced; minimum energy performance requirements were set for new buildings and existing buildings being refurbished or extended; and energy performance certificates were devised. For dwellings, the UK already had a system of measuring energy consumption in new buildings, in the form of SAP. This methodology was reviewed and amended to ensure it met all the criteria of the EU directive. New non-domestic buildings, however, were not subject to such rigorous calculations and thus the SBEM (Simplified Building Energy Model) was introduced with the aim, like SAP, to demonstrate that CO2 emissions from the proposed building would not exceed a target level, determined by calculations within the software. The EPBD requires the provision of an EPC at the construction, sale or let stage. SBEM (or DSM) is used for non-domestic buildings and SAP (or rdSAP) is used for domestic buildings. Up Energy was set up back in 2008, shortly before non-domestic EPCs came into force and we undertake lots of different sorts of energy assessments, some of which were borne out of the EPBD. Energy assessors across the country may rightly have been apprehensive ahead of the EU referendum vote, assuming a UK exit may result in EPCs being scrapped. Now that the decision to leave the EU has been made, this may well be the case, as the UK would no longer be bound by this energy directive. However, the EPBD and the UK’s commitments to reduce energy consumption within buildings are driven by wider commitments following the Kyoto Treaty in 1989. Assuming building energy reduction in the UK and EU membership are not mutually exclusive, then scrapping EPCs would seem not to be an immediate likely response. 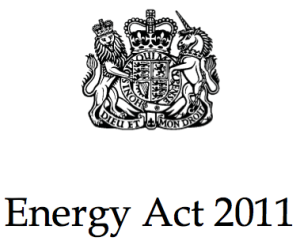 The Energy Act 2011 brought in further energy efficiency incentives and schemes and these were specifically part of an EU directive. Admittedly, one of those schemes was Green Deal, which wasn’t exactly successful! Future proposals as part of the Energy Act also include the minimum energy efficiency rating before a building can be rented out, due to come into force in April 2018, which we are currently helping clients with. As it stands, the future of energy performance certificates remains clear, as it was prior to the referendum in that they form part of UK legislation and that would need amending to alter the situation. As such we shall continue to be busy working away on Energy Performance Certificates for new and existing clients!